Italy. It’s famous worldwide for its awesome cuisine, historical monuments, beautiful people, gorgeous coastlines, quirky politicians and fast cars. 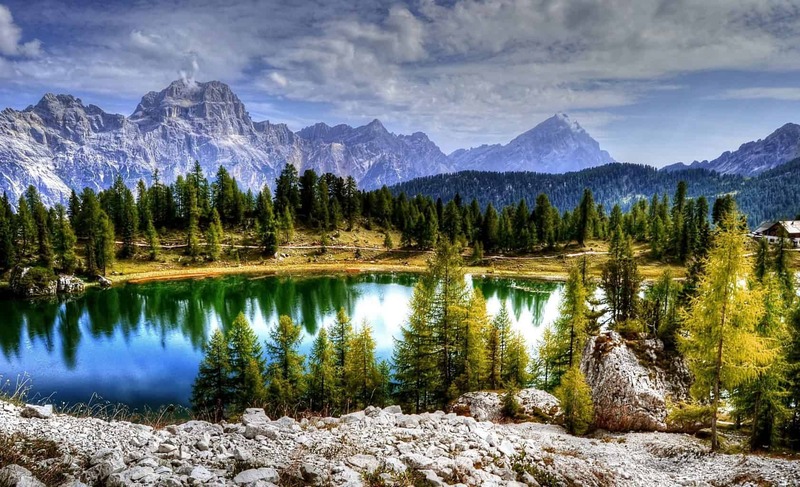 Not so many are aware, however, that the bel paese (lit: ‘beautiful country’) boasts thousands of miles of outstanding hiking trails that are among the best in the world. From high alpine landscapes and glaciated peaks to florid valleys and scenic coastal walks, Italy just about has it all. Italy’s classic trails are fairly numerous. In the Dolomites alone there are 10 Alta Via (‘High Routes’) that take in some of the most outrageously pretty mountain scenery you’re ever likely to find. In the Alps classic trails abound, but the undeniable cream of the crop is the ‘Grand Traverse of the Alps’, for which you’ll need 55 days and a very good head for heights! For those with more time on their hands, the epic, 3,700-mile Sentiero Italia will take you from one end of the country to another and keep you busy for quite some time! For those of you with not quite so much time, let’s take a look at some of the shorter long-distance trails and best day-hikes Italy has in store. None of the routes below include any sections of alpine climbing, technical mountaineering or scrambling. All are standard trekking routes with the exception of via ferrata sections. The via ferrata sections in the selected itineraries are easier routes which present difficulties only slightly above hiking on steep ground. 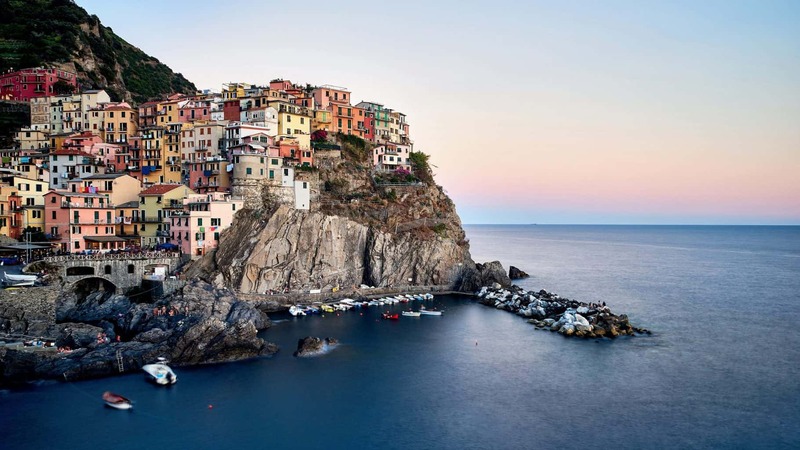 Cinque Terre is a world-famous haunt for sightseers and beach-lovers. This trail allows you to take in the best that this remarkable area has to offer: spectacular coastal views, seaside cliffs, beaches, and a handful of delightfully picturesque villages. Perhaps the most photographed mountains in the world, the Tre Cime di Lavaredo are a geological anomaly unlike any other and attract tens of thousands of visitors every year. They feature on the must-see list of just about every mountain-lover we know and are well worth a place on yours! 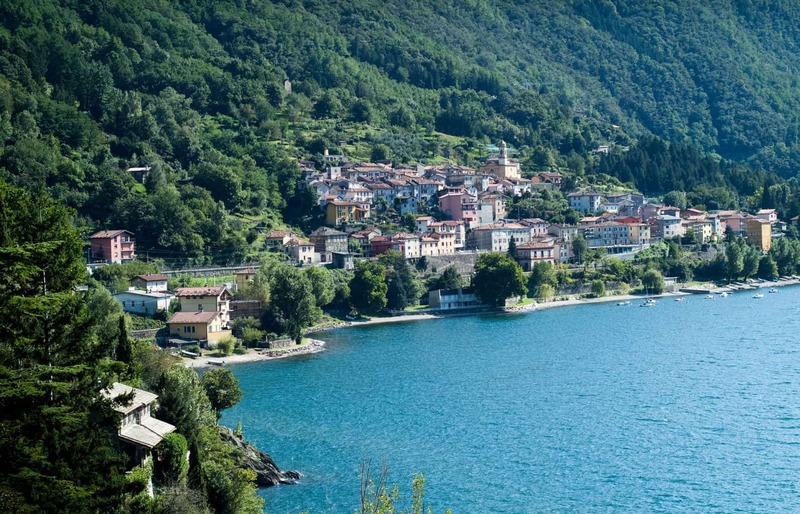 If you happen to be in the vicinity of Lake Como, this is a very worthwhile walk allowing for a different perspective on Italy’s most famous lake. It’s suitable for all the family and rewards your efforts with plenty of photo opportunities and a quiet, forest path far from the summertime crowds on the lake’s shores. 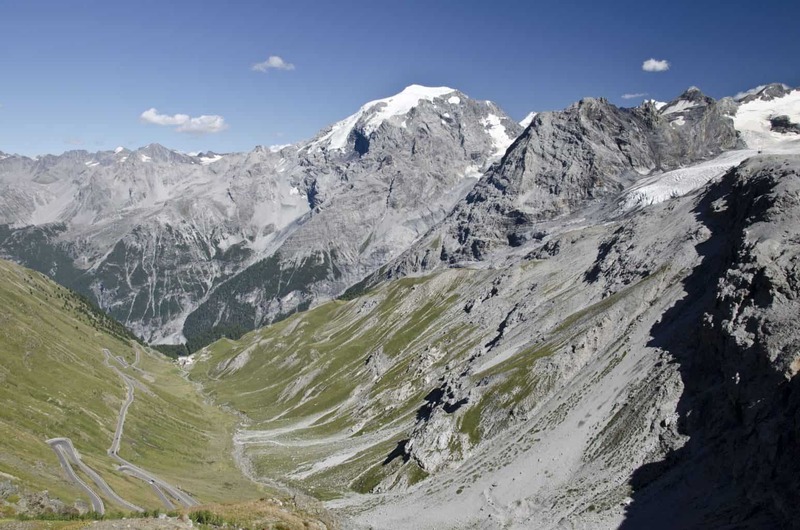 See the world-famous Pizzo Badile and Piz Cengalo on an unforgettable day hike. 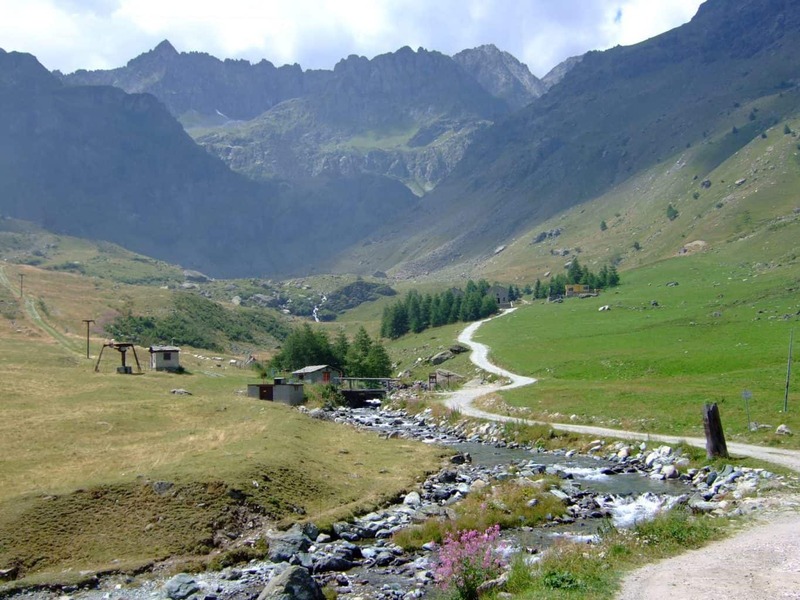 The trail starts just past the granite towers of Val di Mello and snakes up to a high alpine plain encircled by a ring of high, rugged peaks. Italy’s own version of the Grand Canyon in miniature. This hike starts with a 1-hour descent to the valley floor before following a riverside path past a series of gorgeous pools and even a duo of hot-springs. Fancy climbing a volcano? It’s doable, very doable. 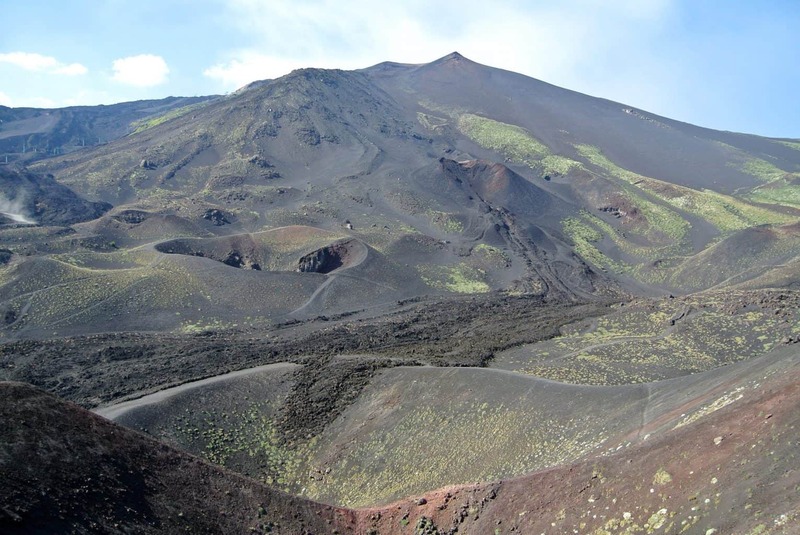 Although a fairly lofty peak, the majority of Etna’s rubbled flanks can be covered by cable car. From the cable car station, the hike to the peak takes only a few hours and the views from up there are nothing short of stupendous! Be sure to check at the cable car station if hiking is allowed - when the volcano’s showing a bit of activity, hiking is prohibited. 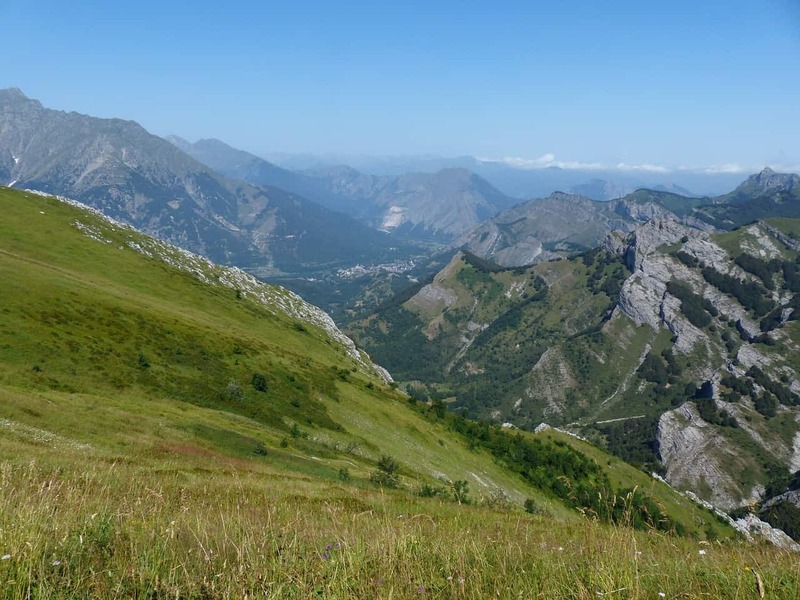 See one of Italy’s shapeliest mountains (Gran Zebru) on this fairly easy but hugely enjoyable hike up to the spectacularly located Rifugio Casati. Casati is perched on the edge of a cliff and at the foot of the huge Cevedale Glacier. To the south, Monte Cevedale and Zuffalspitze peer down over the sea of ice. To the north, the pyramidal Gran Zebru towers over the sweeping Cedec valley. A longer day hike in a spectacularly picturesque location. 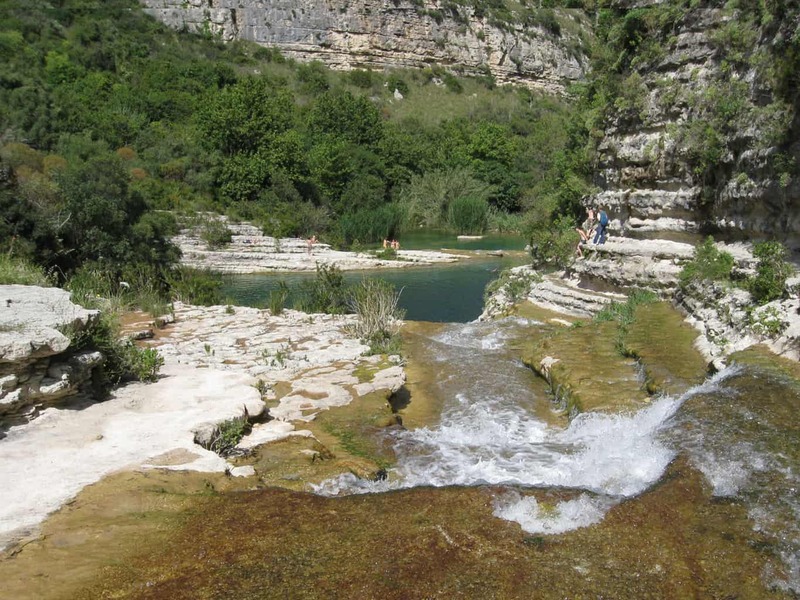 This hike starts on the French side of the border before quickly veering back into Italy. It meanders around a series of stunning alpine lakes backed by vast views across the Maritime range. A challenging hike that’s well worth the effort! 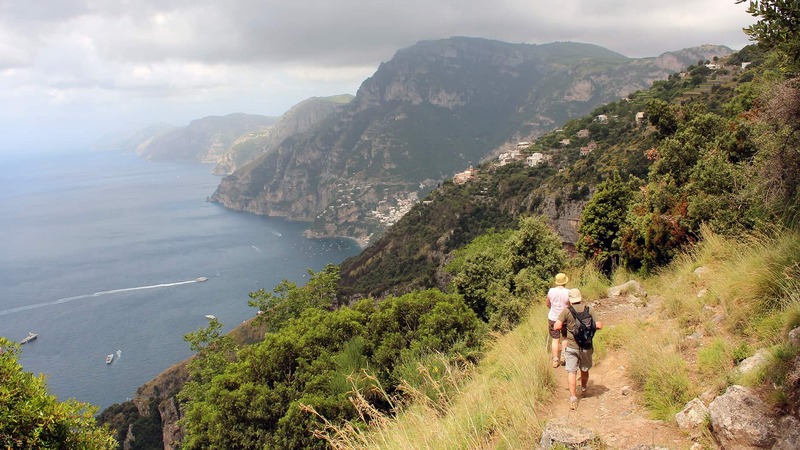 'The Path of the Gods' takes in the best the Amalfi coast has to offer - glorious seascapes, turquoise waters, sandy beaches, bleached cliffs and outstanding views of the rugged Lattari mountains. And when you’re done hiking for the day, you can jump in the Med to cool off! One of the best spots to do some gentle hiking in Italy in winter. High Route Number One (Alta Via 1) is undoubtedly one of the most beautiful hiking trails on the planet. Conveniently, each section is served by a number of comfortable, friendly rifugi (alpine huts), so you can break the trail up into as many sections as you please. 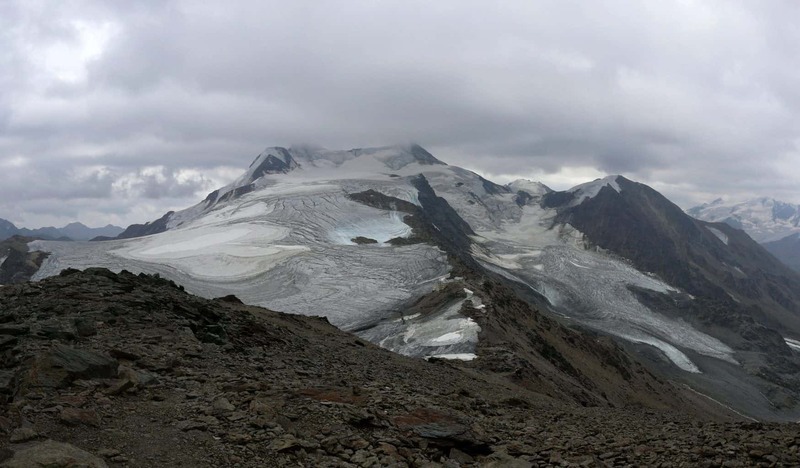 The route covers a variety of spectacular mountainous terrain and features a wealth of flora, fauna, alpine lakes, jagged peaks and well-maintained WWI historical sites. Alta Via #2 takes in equally sublime scenery to AV1, but runs a little longer and threads a more varied and challenging, strenuous route. 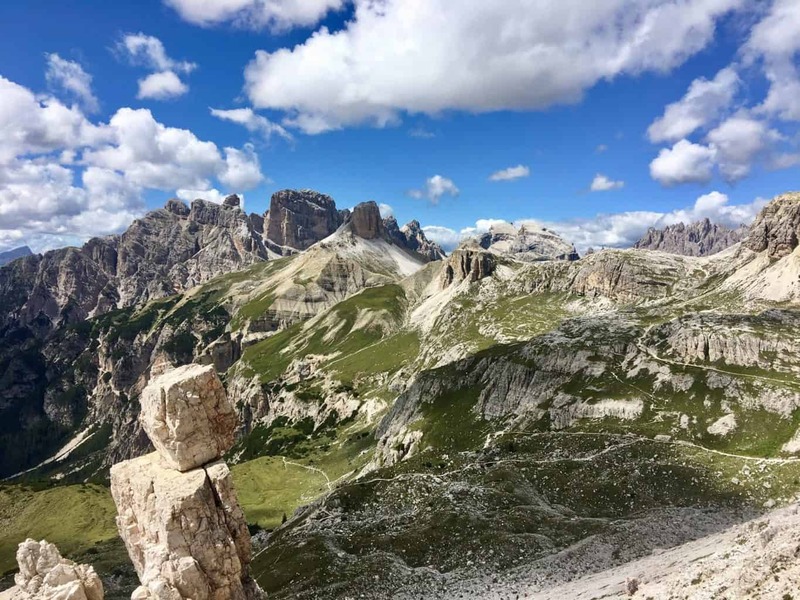 The landscapes are nothing short of awe-inspiring, featuring Marmolada (the Dolomites’ highest peak), the Pale di San Martino Group, the Sella Group and the exquisite Val Gardena. 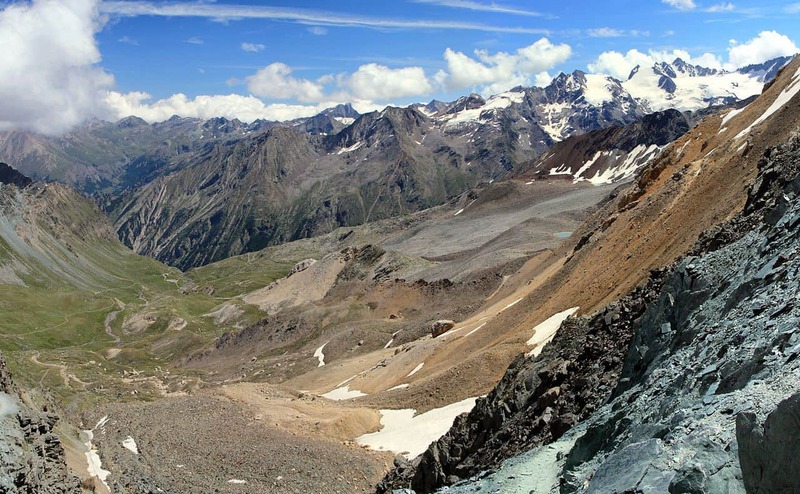 This invigorating, varied, multi-day hike takes in views of some of the Alps’ most famous peaks (Piz Badile, Pizzo Bernina, Piz Palu, Piz Cengalo). Passing through some of the most outstanding scenery Italy has to offer, from huge glaciers and snow-capped peaks to alpine meadows and quaint mountain villages. A good test of your fitness, but an otherwise uncomplicated hike! This trail from San Nicolo to Rigufio Forni might be short on distance, but it’s long on outstanding scenery and physical challenge. 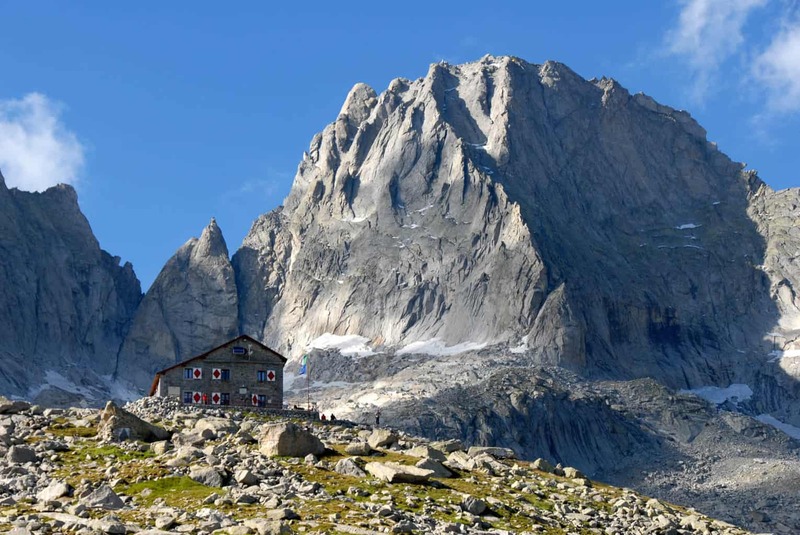 The trail starts at 1,300m and takes in three steep climbs to Rifugio V Alpini, Passo Zebru, and then the outrageously situated Rifugio Casati. On the way you’ll see Monte Cevedale, Gran Zebru/Konigspitze, Zufallspitze, the almighty Ortler and a series of huge glaciers. Alta Via #4 offers everything #1 and #2 have in store and more. In addition to the stunning views, flora, fauna and quaint villages, there are extensive and exhilarating via ferrata sections and more varied, challenging terrain. The trails passes Mount Sorapiss, Cristallo, Antelao and the unique, world-famous ‘Tre Cime di Lavaredo’. A great adventure for the more intrepid hiker. 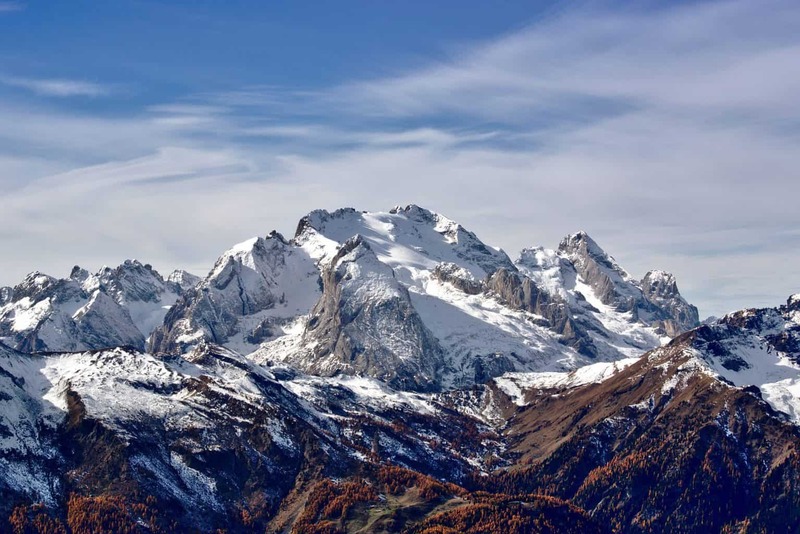 The Gran Paradiso section of Italy’s second longest trek offers fantastic views of Mont Blanc, Gran Paradiso and other giants in the Gran Paradiso National Park and Mont Avic Regional Park. This is a fairly gentle trail but peaks at a lofty 3,300m/10,827ft at the Col Lauson! Covers a wide variety of terrain, from huge, glaciated mountains to picturesque alpine valleys and villages. The best thing about hiking in Italy is the amount of variety on offer. This covers not only the scenery and trail type, but also the length, difficulty and challenge presented by each individual hike. From absolute beginners to experienced die-hards, there’s an absolute wealth of mountainous goodness to be discovered. All of the above routes are doable for anyone with a decent level of fitness and basic familiarity with walking in mountainous terrain. The longer routes, naturally, will require more stamina-wise than than the day-hikes, but can be broken down into smaller sections with rest days in between. Italian-language guides, as well as some on-trail waymarkers, use the following acronyms to designate trail difficulty ratings. Easy, low-level walks suitable for everyone. Expert hikers. These trails may involve some difficult route-finding and/or occasional steep or exposed sections. Equipped expert hikers. This rating is applied to both alpine routes and via ferrata routes. Even if the via ferrata is very simple and no more than an ‘aided walk’, the EEA rating will be given. Even if you’re an absolute beginner, therefore, don’t be put off by an EEA rating as long as you have the appropriate gear. Hiking in Italy requires carrying the same bare essentials that you would carry anywhere else in the world. When taking on the Alta Via or other long-distance routes, however, there are a few other necessary additions you’ll need to make to your kit. 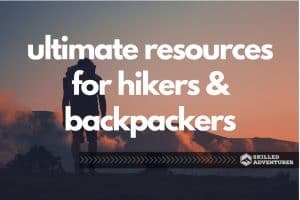 The following list assumes that you already plan on taking a standard complement of the usual hiking gear and includes only Italy-specific gear additions. These can be No products found. or in most outdoor stores. 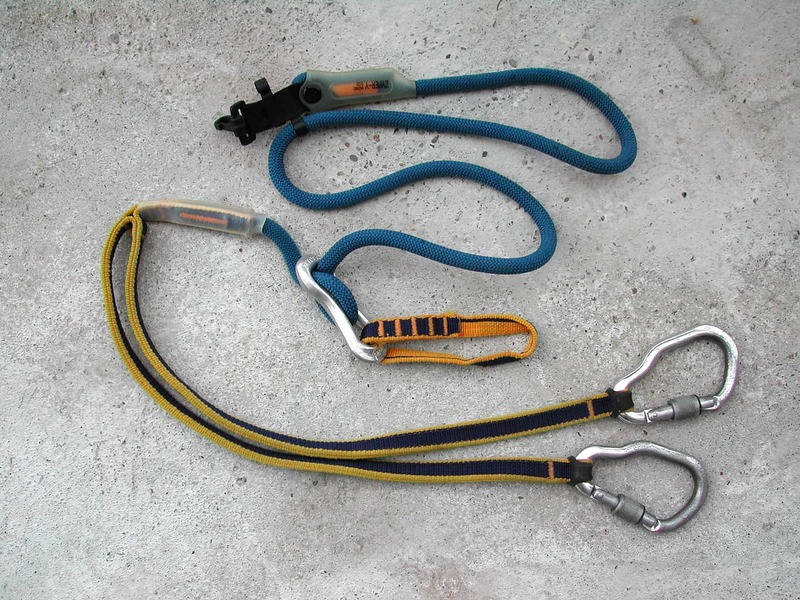 Alternatively, you can make your own with a harness, three locking carabiners and two, two-meter lengths of 8-9mm rope. Tie a simple overhand knot at both ends of both lengths of rope, clip a carabiner into each outward bight/loop and connect the inward bights/loops to your harness with the third carabiner. Finally, always bring a helmet. Even if gaiters are not part of your standard trekking kit, in Italy they could come in handy. First of all, residual snow (often as late as July) on higher trails can remain knee-deep and quickly give your feet a soaking. Additionally, many mountainous regions in Italy are home to various types of viper. While we wouldn’t want to overstate the risk of being bitten by one (incidences are fairly rare), a pair of gaiters can help to give you some piece of mind by providing protection for your lower legs. Long sections of some of the above trails are without reliable sources of drinking water. For this reason, be sure to bring some means of purifying water taken from wild sources. Hiking in Italy in summer can mean exposure to some extremely high temperatures, so double-up on No products found. and bring a spare of other water purification systems just in case. Most of the high routes in Italy are served by a very handy network of ‘rifugi’ (singular: ‘rifugio’). These are mountain huts that offer food and shelter and can be sound as little as an hour or two apart along the trails. To sleep in a rifugio, you’ll need to bring a sleeping bag liner to keep their infrequently washed sheets (and yourself) as clean as possible! Think you’re ready to hit the trails of the bel paese? Great! Here are a few handy tips and observations for when you do so. Generally speaking, the Italians are a very laid-back and friendly bunch. This is particularly true of the mountain-goers amongst them. Trail etiquette, therefore, is fairly minimal and tends to be of the ‘anything goes’ variety! When meeting fellow hikers on the trails, pass on the right. Some visitors will be shocked by the appearance of litter on some Italian trails. Just because they’ve done it, doesn’t mean you should too! Beyond the ethics involved, if the guardia forestale (similar to the US ranger service) happen to be out on the trail for they day, they can hit you with a fine! Wild camping is strictly forbidden everywhere in Italy. Again, any violation could earn you a sizable fine. For the most part, trails throughout Italy are well-traveled and waymarked with red and white signs or painted rectangles and triangles. At trailheads and junctures you’ll normally find a plaque or pole with arrows bearing the estimated time to significant locations. To be on the safe side, always carry a map and compass. On the whole, none of the day hikes or long-distance routes included above present any exceptional or unusual dangers. Exceptions to this rule are in the event of fresh snowfall and on via ferrata sections on the longer routes, particularly in the Dolomites. 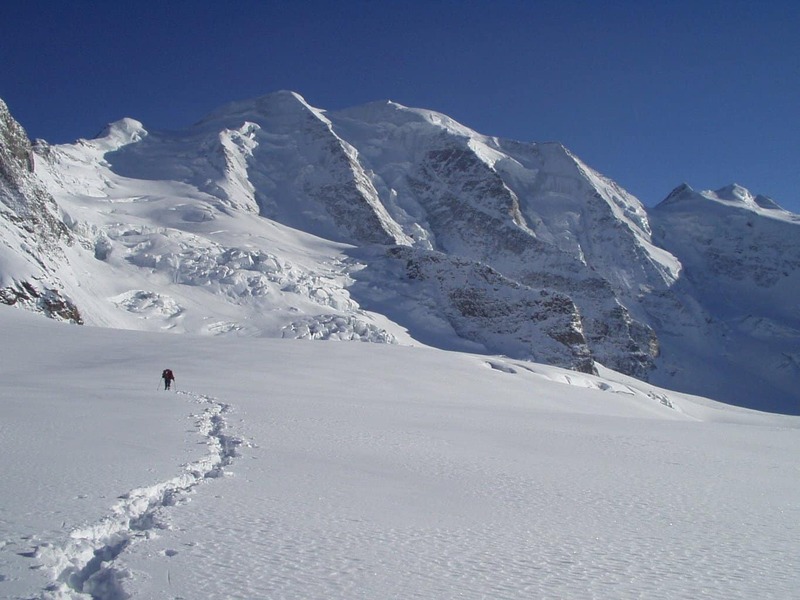 In the event of fresh snowfall, the nature of a trek can change considerably. If this happens, it’s well worth putting off your hike or at least carrying a piolet-style ice axe. To check on snow conditions, contact the regional CAI (Club Alpino Italiano) office before setting off. The link to CAI’s website is provided below. Via ferrata is, generally, a very safe way to enjoy steep and exposed trails that would otherwise be beyond the capabilities of most hikers. That said, via ferrata routes must be approached with caution and care. 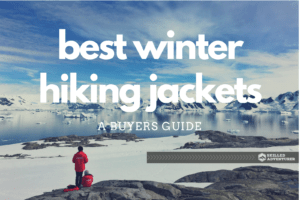 Make sure you buy or rent the appropriate gear and receive instruction before setting off. Always wear your helmet. Even if the chances of falling are slim and the route is easy, there may be wildlife or other climbers above you who could dislodge loose rocks and send them down the route. This very handy video from Tirol offers some great tips and insights for via ferrata beginners. If you happen to have an accident while out on the trails in Italy, call 118 and the emergency services will redirect your call to mountain rescue. Club Alpino Italiano - The homepage of Italy’s Mountaineering Club, available in English, French and Italian. By selecting the region you plan on traveling to, you will find a list of mountain huts in the area, weather updates and news on any trail changes, diversions and/or closures. Lonely Planet - Lonely Planet’s thorough guide to hiking in Italy with a selection of popular trails. Cicerone Press’ 32 - Incredibly detailed and thorough guides covering a variety of Italian hiking destinations. Undoubtedly the best English-language guides available. National Parks of Italy - The homepage of Italy’s national parks association, which offers lists of walking trails in each of the country’s 24 national parks. Available in English. Maps - Both Kompass and Tabacco offer the best coverage of Italy’s hiking trails. Italy offers the outdoor adventurer one of the best destinations in the world for hiking. Its wide variety of trails cater for all tastes and fitness levels and take in some of the most outstanding mountainous and coastal scenery you’re ever likely to come across. 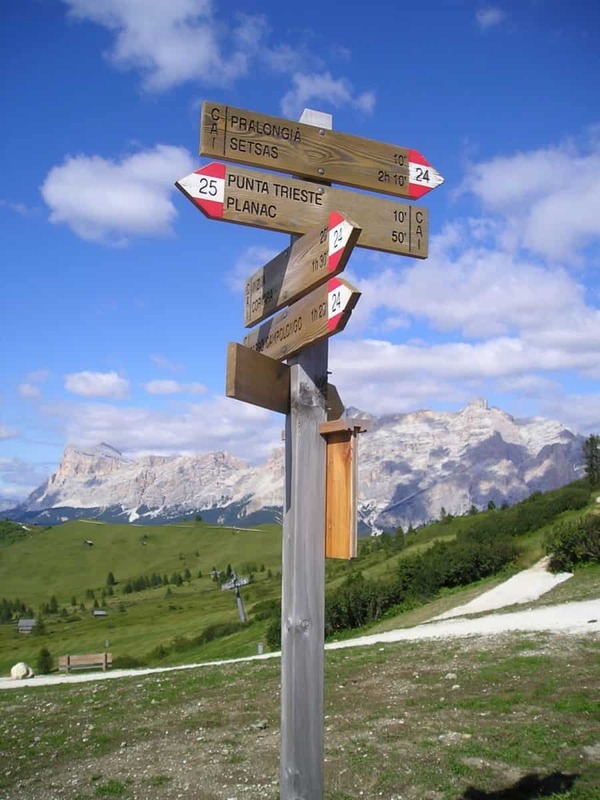 Due to the relative lack of English-language guides covering hiking destinations in Italy. I created the above list and guide in an effort to inspire others to get out and see the abundance of majestic trails and mountain scenery the bel paese has to offer. How did you like my list? Feel free to share this article and post your comments in the box below! And if I missed anything out, please let me know! Can you recommend a town or village in Italy, preferably in the Dolomites or Alps, where there is access to multiple easy trails? We have hiked extensively but are now older and seek trails for hikes of just a few hours with elevation gains of not much more than 500-600 feet.